In the United States, while the number of foreign-born residents and their children is higher than ever, the percentage of the population they represent is not, in 1910 this group made up 35 percent of the population when compared to 20 percent in 2000. E wins the game. "compared with..." correctly modifies "this group", suggesting that " in 1910 this group made up 35 percent of population and 20 percent in 2000"
yes E . here we are comparing similar things so compare with should be used. compare to is used when comparing different things. hence A and B are out. C and D have their issues as given in red highlightying. E is the best choice. yes E .here we are comparing similar things so compare with should be used. compare to is used when comparing different things.hence A and B are out. C and D have their issues as given in red highlightying. E is the best choice. compared to: He compared me to a tiger. compared with: He compared the fake writing with the real one. -Underline your question. It takes only a few seconds! I know this is an old discussion, but 'compared to' and 'compared with' are still common sources of confusion. Some of the explanations here overcomplicate things a little. The example that vscid has posted above is a good one. Simply put, 'compared to' highlights a similarity, whereas 'compared with' highlights a difference. Please push +1 kudos button if you like my post. 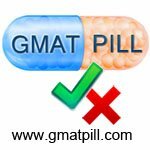 For purposes of the GMAT exam, the distinction between COMPARED TO vs COMPARED WITH is meaningless. Both can be used correctly - it depends more on the context of the structure of the sentence surrounding the phrase. For example, two sentences that are exactly the same - but one says TO and the other says WITH -- this kind of scenario will never happen on the exam. I am not exactly sure now of the standards of correct answers given by the test forums and the confidence of answers. He was less successful after he had signed with the Washington Bullets "compared to" the New York Knicks, small forward Bernard King nevertheless earned a steadfast group of admirers who consider him one of the greatest scorers in basketball history. In the above "compared to" is absolutely fine - two teams are being compared - except Veritas thinks its "compared with"
Its almost like I want a 720 score - god please and god will modify the answers according to my wishes and depends on which god I am praying to and in case its a god with some vengeance - then forbid me lord!